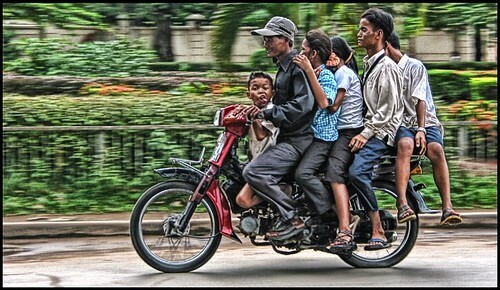 Six on a motorbike.... Phnom Penh, Cambodia, a photo by shadowplay on Flickr. Because when one would care other so much, he would take more burden the he could take. Careful when facing danger ahead, because life is precious. So then, life is beyond miracle.